Lots of people want to share their love of, and enthusiasm for, RuneQuest with the wider world. They want to use blogs and website to show what they're doing, how they're doing it, and support RQ from a fan perspective. We absolutely encourage fan involvement, but there are a few things that you need to be aware of before starting a blog or a website dedicated to RuneQuest. 1. RuneQuest is a Trademark and an intellectual property. Design Mechanism licenses the trademark from Moon Design Publications but does not own it. 2. This means that any fan works must abide by the Fan Policy established by Moon Design Publications for both Glorantha and RuneQuest materials. The Fan Policy is described in detail here and we urge you to read this before you start work on any fan material that will be placed on the internet or distributed in any form or means. Its actually a very simple, very generous Fan Policy and carries very little restriction. If you have any questions please don't be afraid to ask us. We want to encourage the wider RQ Community but it has to be done in a certain way to ensure that trademarks and so forth are respected. Click here for Design Mechanism's You Tube channel and a sneak preview inside RQ6. This second preview of the game focuses on the magic chapters. The preview includes a couple of pages from each magic section (with the exception of Animism, covered in Preview 1). And thank you all for the wonderful feedback and comments on the look and feel of RuneQuest. Glad to know we're on the right track! 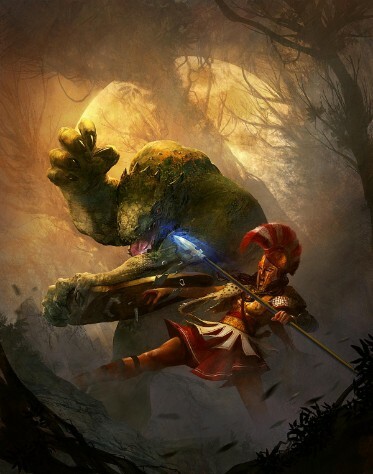 The first preview of RuneQuest is now available for viewing. These preview pages are pre-publication images so there are still page references to be finalised, but here you can see the style and scope of content RuneQuest will be offering.